Hello Happy Site Owners! This week’s tips include whether upgrading to WordPress 3.6 will break your theme, news on the release of Genesis 2.0, the winner of the best site caching test, an opt-in widget for the corner of your site, a new Feedly widget, and a new You Tube Subscribe Button plugin, a premium plugin for doing super Meet the Team layouts, alternatives to resource sucking plugins, another one of those cool Google Drive presentations, what you’ll have to do to access the Google AdWords Tool, hashtags on G+, a cool way to create memes on G+, a G+ Community Starter Guide, and some encouragement on making small strides on YouTube that lead to bigger things. So let’s dive in. Listen to the podcast. I’ve been with HostGator a long time, but after my sites were moved to EIG’s servers it’s been nothing but trouble. I had already decided to move to new hosting before this latest fiasco. Now I’m sure I won’t have any trouble getting folks to go with me. Read my post on where I’m going and see the handy Migration Guide I created to help you make an easy move to a new host too. The other big news, of course, is the release of WordPress 3.6. It may seem like a coincidence that the EIG servers went down at the same time. Be careful about reading too much into that. There have been problems at EIG for months. I haven’t been hearing of too many folks having issues with upgrading. I don’t know if that’s because there were few problems, or because they didn’t do it yet. Either way, it’s fairly quiet on that front, thank goodness. If you haven’t updated yet or have questions about HTML5 features or your theme, be sure to see my post on it. The best thing is, this was more a features release than full of security patches. So, if you need to delay a bit in upgrading, that’s okay. +Brian Gardner released a statement on social media sites right after WordPress 3.6 went live saying that the Genesis 2.0 update would be early this week. He said they had a few loose ends to tie up. I think it’s wise to tackle one thing at a time and give folks the opportunity to update to 3.6 and then test their site first. And now with this fiasco with three large hosts, no one is in a hurry to make major changes to their site. For more on how this will affect you, read my post on WordPress 3.6, HTML5, and Genesis. So which caching plugin is best? Turns out, none of them. See the winning tactic in this super post from +Darren Dematas on how to Speed Up Your Site Load Time. Have you seen those little pop ups in the lower right corner of a site? There’s a new plugin called Sticky Email Opt-in Widget that places your email opt-in form in the corner. It has several configuration features that allow you to select other positions and such. Do know of other popular plugins that do something similar? Leave a comment for us and why you like it. If you use Easy Digital Downloads to manage the digital products you sell on your site, there is a new CSV Manager extension plugin that allows site owners to bulk import products from or export products to a CSV file. Well, that didn’t take long. It’s only been just over a month since Google Reader shut down. Now there’s a new plugin called Add to Feedly that adds a widget to Display a “Follow on Feedly” banner in your sidebar. Great way to take advantage of all those power RSS readers switching over to Feedly. And this didn’t take long either. Remember in a previous Tips Tuesday I told you about the new YouTube Subscribe Button code? I also said I was betting a developer somewhere was working on a plugin. Here ’tis. The YouTube Subscribe Button plugin lets you add a subscribe button to your blog so people can subscribe to your YouTube channel without leaving your site. I also said I was going to test the raw code examples given in that earlier post. Well, this plugin came out before I could get to it. So, I’ll be leaving my testing time to it. Sending a big thank you to Muhammad at Softstribe. He’s taken over the daily plugin updates that I rely on so much since WPDaily went defunct. He’s since added a themes roundup, and now a premium plugin roundup. Really glad to see that because there’s more to the WordPress plugins universe than free plugins in the repository. Here’s one of the premium plugins he featured from CodeCanyon. It’s called WordPress Meet the Team Shortcode Plugin. And to be fair, I’m leaving in Muhammad’s affiliate link. 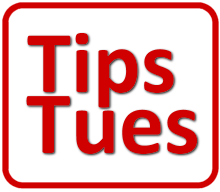 I’m happy to help the folks who help me bring you good info on Tips Tuesday. Okay, back to the plugin. You should jump on over and checkout the screenshots for this plugin. It puts the team members in column views. It’s drag and drop for other layouts and has several customizing features. Makes for a very professional looking page. And, we’re going to round out plugin tips with another roundup, this time from +Ana Hoffman. She just moved her sites over to WPEngine and they have several restrictions on the plugins they allow, and several I totally agree with. And many of these you’ll find on must-have plugin lists. Not mine! She has a nice post of the list on her G+ Profile here. Plus, be sure to see her full post on alternatives to Broken Link Checker. There are some super tools listed there. Hey, remember last week in Tips Tuesday when I mentioned all the cool things you could do with Google Drive? Well, check out this presentation of G+ Business Guides from +Mark Traphagen. It was compiled by +Michael Bennet who was the one who introduced me to it in the first place. If you rely on the freely accessible Google AdWords Tool for helping you find keywords, there are changes coming. Soon you’ll need an AdWords account to access the tool. Read all about it in this super post from In Marketing We Trust titled The Marketer’s Guide to Google’s New KeyWord Planner. If you think hashtags on Facebook are a bonus, wait until you see what they can do for you on G+. Here’s a super duper post from Luis Galarza with everything you’d want to know about hashtags on G+ and then some. Communities are one of the best things about G+. If you’re thinking about starting your own, check out the Google Plus Community Owner Guide from the nice folks at Socialize Me. It has a lot of great tips that will save you frustration and time in setting that up. Several months ago I told you that I was going to make YouTube a bigger part of my marketing mix. Well, a lot changed with G+ and YouTube integration since then. I’ve finally had a chance to organize the new One Channel design. And I made some playlists and organized those, and even learned how to link to them. You’ll see two of them embedded in the sidebar of my site. Now that I have the MailChimp Video Course updated, I’ve got a whole list of super short video tutorial tips to make on that topic and post to YouTube. And now I have the structure to input them into YouTube in a way that will get them noticed and ultimately get BlogAid more exposure. Plus, now that I have a verified Partner account, I can include a link from the YouTube video straight back to BlogAid. I’m telling you this because it’s taken me months of baby steps when I had time to get it done. It also took following +Ronnie Bincer and +Tim Schmoyer to help get my YouTube account mess sorted out and verified and things on this new design squared away. What I’m saying is, do what you can, as you can, and keep at it. Every little bit helps and you’ll get there. It’s not enough to collect all these tips I share each week. You have to actually do them, even if it’s just one little thing a week. It makes a difference, and it makes you feel good too. Thank you for all your hard work Muhammad! Thanks for the mention! Nice post here as well :) Great round-up of information. Thanks Andrew, always happy to share the good stuff. Thanks for the link to extra resources! I never had much luck reducing my website load speed with plugins and some of them caused me problems so I’m psyched to try some of Darren’s suggestions. Thanks for the great tips and resources.